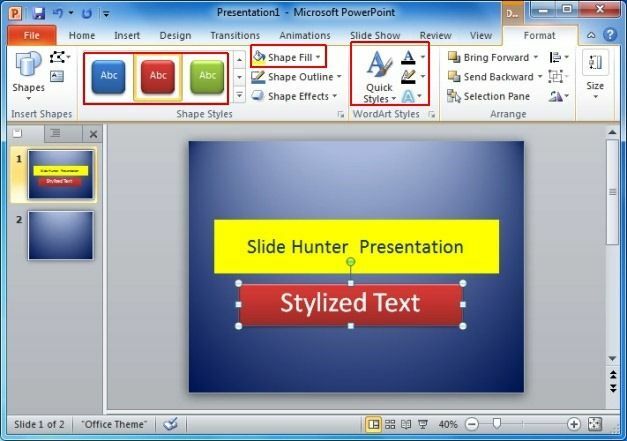 There are several sound effects for slide animations that come prepackaged with PowerPoint 2010. 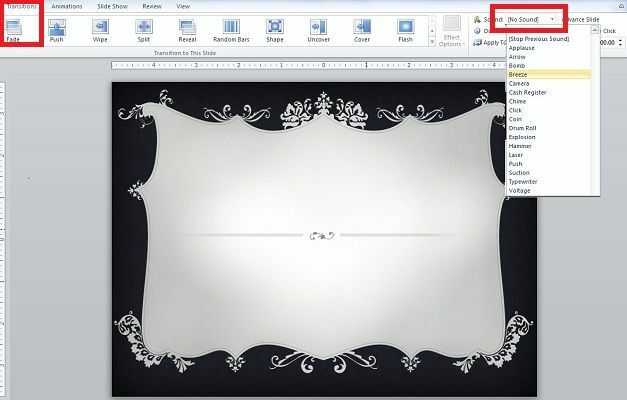 Office PowerPoint 2010 offers a variety of sounds to really talk to your audience, with slide transitions of your presentation. If you have applied a Slide transition effect, you can also pick a sound effect which more suites with the applied transition effect. 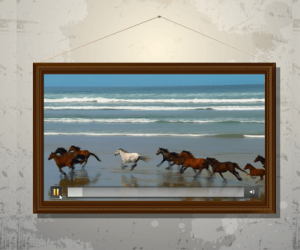 For adding sound with slide transitions, open presentation slide and navigate to Transitions tab, under Timing group, from Sound options, select a desired sound. You can choose between a preset of sound effects to choose every time you move to the next slide. When you have found the sound that you want to use, click on it, and it will be added to your slide transition. 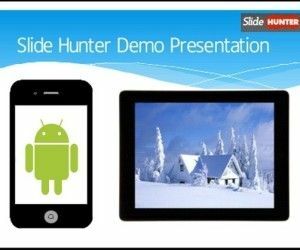 You can then click the Preview button to see how the slide along with the animation and sound will be presented in your slide show. 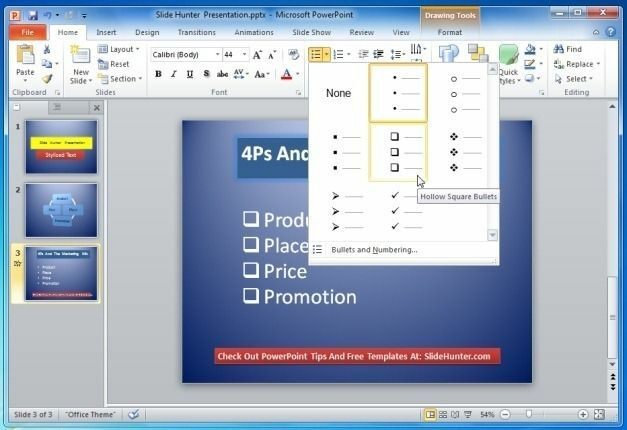 other effects are available in 2010 PowerPoint version, you can also configure to Loop the sound until next sound which will start playing the sound until any other new sound is played in the PowerPoint presentation. 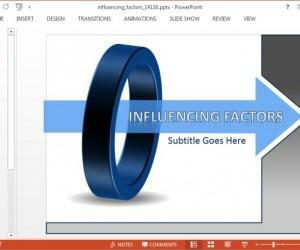 The visual effects of an animated transition in a PowerPoint presentation are a good way to capture the interest of your audience. 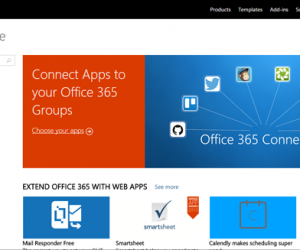 If you really want to grab their attention, you can enhance the transition even more by adding a sound snippet or two. Make sure that whatever sound you add it should makes sense in relation to both the animation effect that it is being applied to and the general purpose of the slide itself.